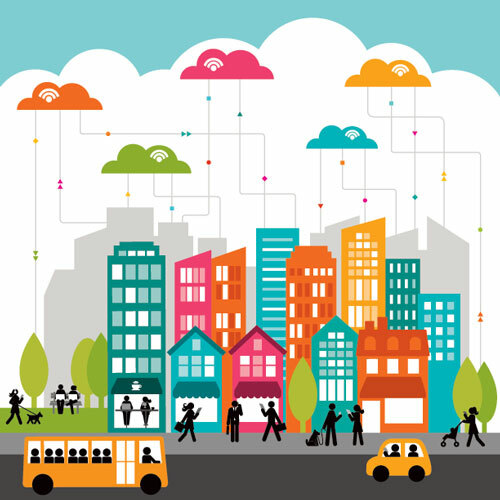 A recent post on Inquiry, the U of M’s research blog, highlighted how University researchers are participating in a variety of efforts related to “smart cities.” These efforts are designed to develop solutions related to transportation, energy, housing, and more for the cities and communities of the future. MetroLab Network. This newly launched network includes 20 university–city partnerships committed to fostering strong regional collaboration and developing solutions that improve infrastructure, city services, and other public-sector priorities. The U of M and its partners—the cities of St. Paul and Minneapolis—are founding members. Carissa Schively Slotterback, CTS Scholar and the U’s director of research engagement, is helping lead initial efforts. Integrated Urban Infrastructure Solutions for Environmentally Sustainable, Healthy, and Livable Cities project. This project brings together a unique network of scientists, industry leaders, and policy partners committed to building better cities of the future. The network will connect nine research universities, major cities in the U.S. and India, infrastructure firms, and policy groups with a focus on reimagining infrastructure to create cities that are highly functional, promote the health of residents and the environment, and are desirable places to live and work. CTS scholar and Humphrey School associate professor Yingling Fan is one of the project’s co-investigators. Other faculty participants include CTS Scholars Jason Cao, Grey Lindsey, Elizabeth Wilson, and Jerry Zhao at the Humphrey School and Julian Marshall in the Department of Civil, Environmental, and Geo- Engineering (CEGE). Resilient Communities Project. This initiative organizes yearlong partnerships between the U of M and Minnesota communities, matching graduate and undergraduate students to sustainability-related projects. This year’s partnership—with Carver County—will include participation by three cities, the county community development agency, the school district, and the regional transit provider. Transportation-related projects will include enhancing bike and pedestrian facilities near park-and-ride locations, developing a bicycle and pedestrian traffic count program, and creating safe routes to schools. Several CTS Scholars are involved: Carissa Schively Slotterback (Humphrey School) is the project’s faculty advisor, and David Levinson (CEGE) and Greg Lindsey (Humphrey School) are incorporating the program and the projects into their courses.